Madrid, Jan 13: With Real Madrid facing a tough trip to Sevilla, and Barcelona at home against Malaga over the coming La Liga weekend, there are several points of interest which deserve deeper attention in the Spanish top-flight football competition, reports Xinhua. 1: Can Real Madrid leave another title rival on the ropes? Thursday's King's Cup tie between Sevilla and Real Madrid gave a taster for what lies in store when the two sides meet again in Sevilla's Sanchez Pizjuan Stadium on Sunday night. Thursday produced 90 minutes of high-octane football as Sevilla tried bravely to overturn a 0-3 deficit from the first leg. They led 3-1 in the second leg and for an instant looked like scoring an overall equaliser. But a Sergio Ramos penalty and a deflected Karim Benzema shot saw Madrid produce another late miracle to win overall 6-3 and extend their unbeaten run to 40 games. Madrid will have Cristiano Ronaldo and Luka Modric in their side on Sunday and it remains to be seen how much energy Sevilla spent in their ultimately fruitless efforts on Thursday. 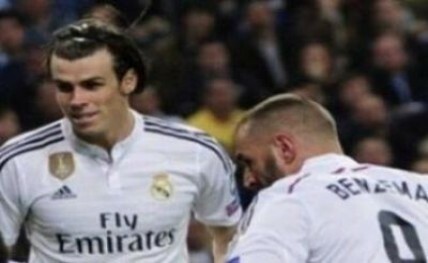 But with Madrid currently holding a four-point lead over second place Sevilla in the Liga Santander table with a game in hand, if they can win in the Pizjuan Stadium, they would leave another title rival on the ropes and it would need a disaster in the second half of the season to see this year's league title escape them. 2. Can Messi do it again as Barcelona face Las Palmas? Barcelona have not been at their best since the turn of the year and although some have looked to blame a defeat in Bilbao and a draw in Villarreal on a refereeing conspiracy against them, the fact is their football has not reached the peaks the fans are used to seeing. However, one player has kept them afloat when things have been going badly and that is…Lionel Messi. Messi's free kick in the 1-2 defeat to Athletic Club gave Barcelona a vital away goal in the first leg of their King's Cup tie and his free kick in the return leg booked their place in the quarter-finals, while his set piece in the last minute against Villarreal earned what could still turn out to be a vital point. Messi has now scored 26 free kicks for Barcelona: a new club record, the question is: will he have to do it again when the Catalans face a free-flowing Las Palmas on Saturday, or will his team-mates also lend a hand? Perhaps the most dramatic game of the weekend sees second from bottom Granada play rock-bottom Osasuna on Sunday evening, a game between two sides who have just two league wins and a total of 17 between them all season. Of late, both sides have shown spirit and despite their 0-5 defeat by Real Madrid last weekend, Granada look more solid under Lucas Alcaraz, while Osasuna showed personality to come from behind three times on Monday to draw 3-3 against fellow strugglers Valencia. But courage and organisation apart, the fact is that the losers of this game will be rooted to the bottom of the table, needing miracle to avoid relegation, while a draw will help neither of the two. The pair have already played twice this season with Granada winning the first leg of their King's Cup tie 1-0 at home and Osasuna claiming the return leg 2-0. This time another 1-0 would suit Granada just fine. 4. Can Athletic overcome injuries and away day blues in Leganes? Athletic Club Bilbao coach Ernesto Valverde expressed his surprise this week that after playing Barcelona in the King's Cup late on Wednesday night his side was first into action in matchday 18 with a trip to play a Leganes side which has had all week to prepare for the game. "It's almost as if someone has done this deliberately," commented Valverde, who will at least be able to welcome Raul Garcia and Ander iturraspe back into his squad. However it is in defense where he has problems with Xabi Etxeita, Inigo Lekue, Oscar de Marcos and Yeray Alvarez are all sidelined and goalkeeper Kepa out of action until March. Athletic have been Jekyll and Hyde performers this season with just one defeat at home, but a series of poor displays on the road. Leganes, who have injury problems of their own and just one home win all season, could give them the chance to end a series of poor results on the road and set them up ahead of two consecutive home matches.